Facial lines and wrinkles become more prominent and noticeable wtih aging as skin loses collagen, elastin and hyaluronic acid (a naturally occurring substance in your skin that helps provide fullness, hydration and elasticity). Restylane, the next generation hyaluronic acid dermal filler made with XpresHAn Technology, is designed to help support your skin while keeping you looking like you! 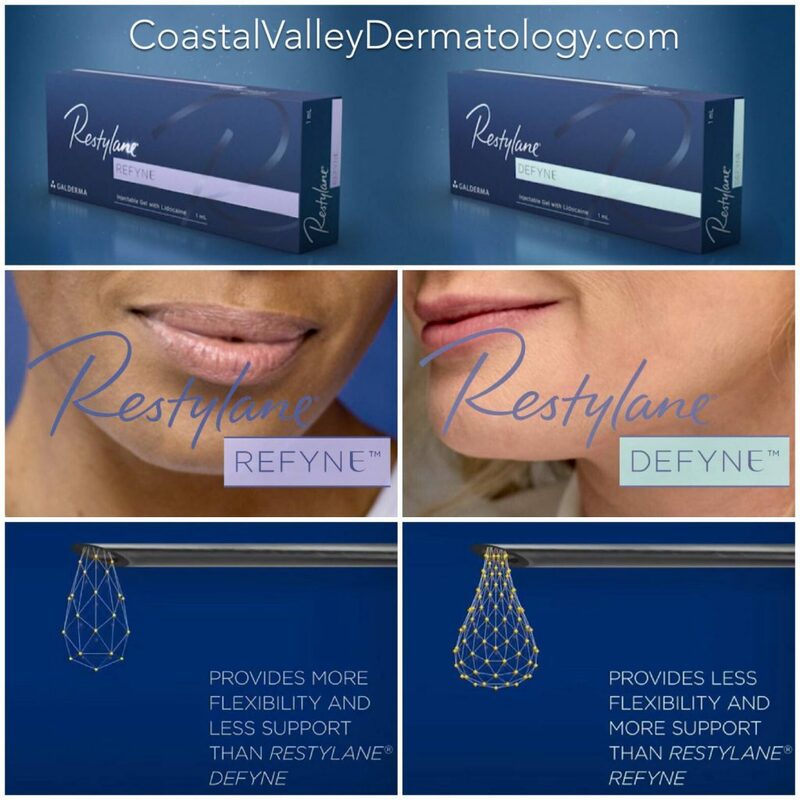 The Restylane family of products includes Restylane, Restylane Refyne, Restylane Defyne, Restylane Lyft, and Restylane Silk . Each is a clear gel formulation of hyaluronic acid specifically formulated to act like your body's own naturally produced hyaluronic acid. 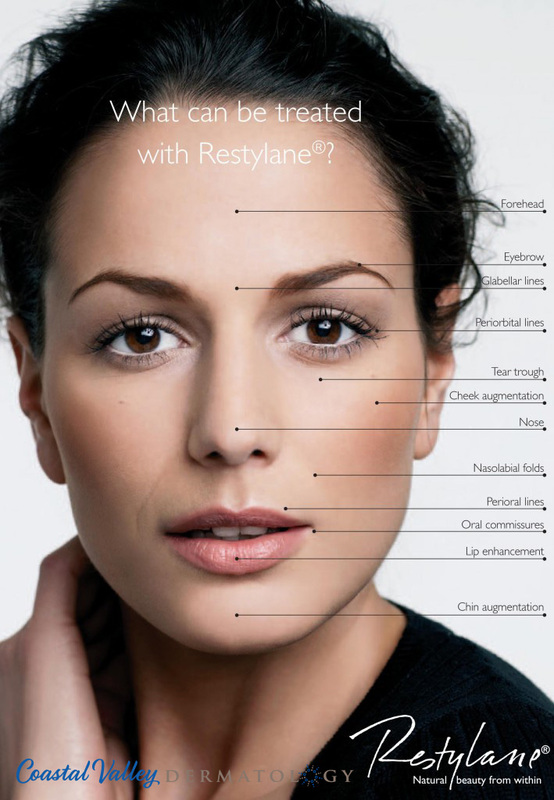 Each Restylane product is designed for a specific purpose. Restylane is used to add volume and fullness to the skin to correct moderate to severe facial wrinkles and folds, such as the lines from your nose to the corners of your mouth (nasolabial folds, also known as smile lines). Restylane is also used for lip augmentation. 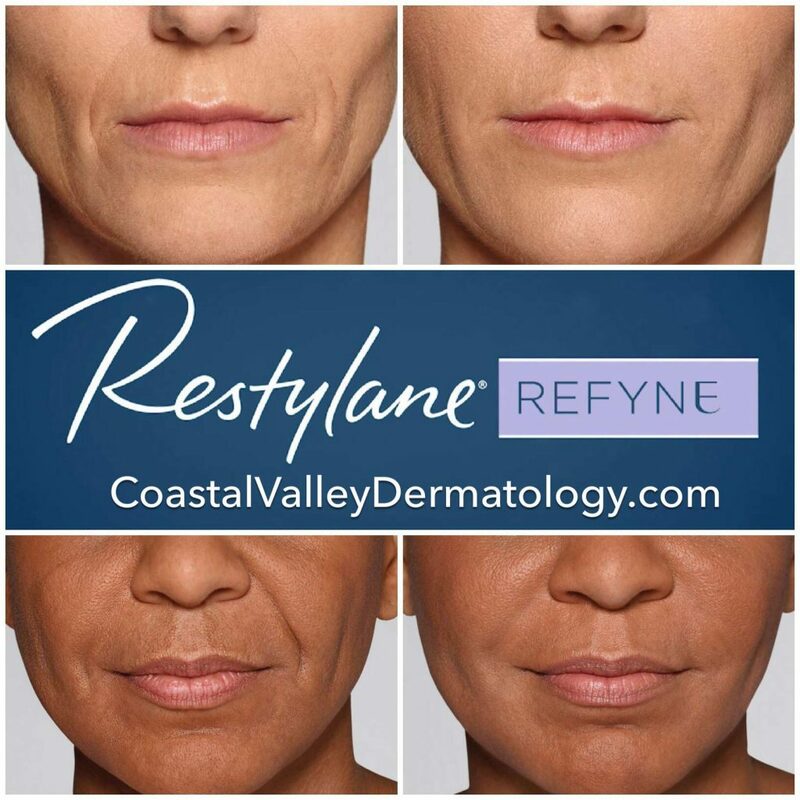 Restylane Defyne is designed to act like your body’s own hyaluronic acid to help smooth out deeper lines around your mouth (nasolabial folds and marionette lines) while letting you look more natural through a range of facial expressions. Restylane Lyft is for natural-looking volume and definition for your cheeks. It is also approved the correction of age-related mid-face contour deficiencies. Lyft is the first and only FDA-approved filler with the ability to provide fullness to the cheeks, as well as restore lost volume in the mid-face area. Lyft contains 0.3% lidocaine, which is added to reduce any discomfort during treatment. What's the Difference Between Refyne and Defyne? Refyne provides more flexibility with soft support whereas Defyne provides a little less flexibility with more firmer support (for deeper laugh lines). Both Refyne and Defyne hyaluronic gels give patients the advantage of extremely natural facial movement in the injected areas. 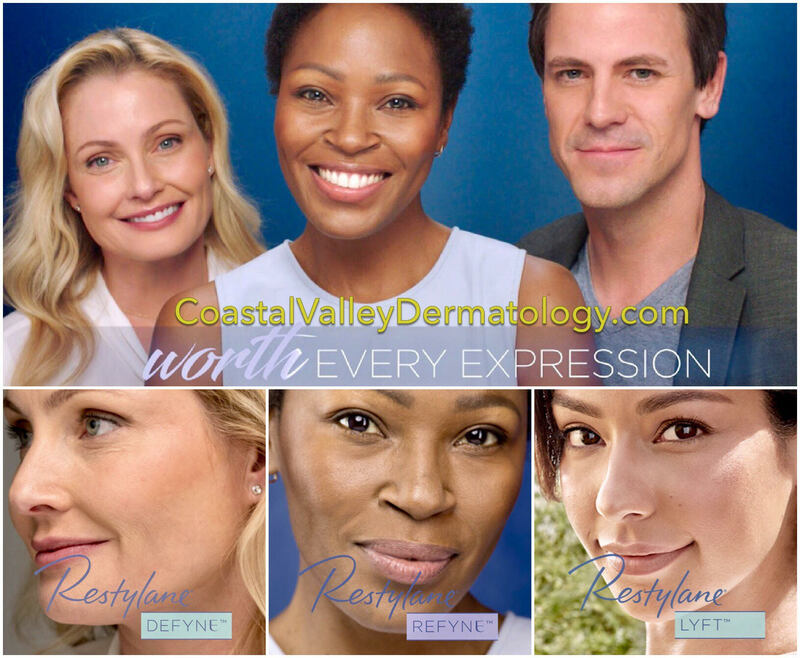 Restylane Refyne and Defyne can restore a more natural look to your face while maintaining your facial expressions.